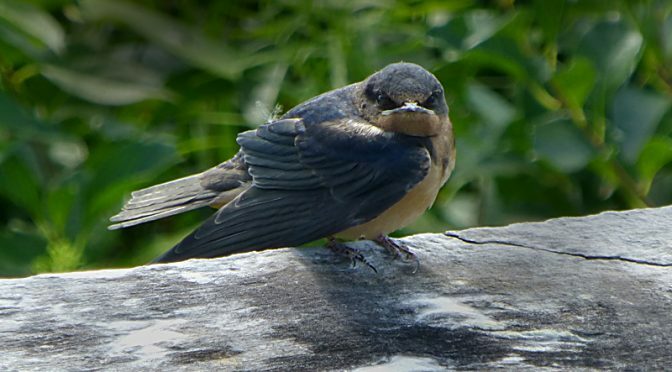 This little baby Swallow was sitting on the wooden fence at Fort Hill waiting for its mom to come by a few days ago. There were 3 little ones and they were so cute!I wasn’t sure if they were having flying lessons or what… they would sit on the fence and wait for mom. I went back yesterday and the Swallows seem to have migrated already. I didn’t see one! Wow! That was fast! Kind of like a teenager on the first day of school?